A Russian aluminum giant just lost its CEO and most of its board as it tries to wriggle out of US sanctions. Rusal, the world's second-biggest aluminum producer, said Thursday that CEO Alexandra Bouriko and seven directors had resigned. The company also warned that the US sanctions, which were announced last month, could make it tough for it to pay back its debts. Rusal, which produces 7% of the world's aluminum, has been under intense pressure following the sanctions, which targeted a number of oligarchs and government officials including its founder, Oleg Deripaska. The measures were designed to punish Moscow for meddling in the 2016 US presidential election. For Rusal, they prompted a scramble among international aluminum buyers and commodity exchanges to sever ties to the company, putting its survival in doubt. The company's stock lost about two-thirds of its value in the wake of the sanctions announcement. 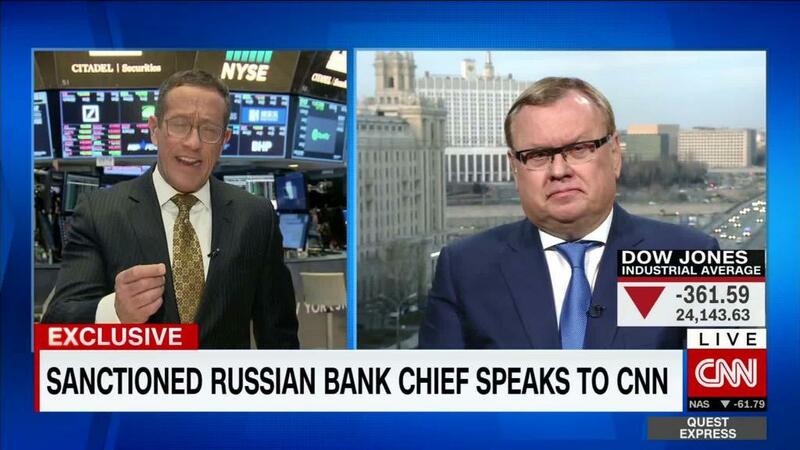 Related: Russian oligarch can save his sanctioned companies. But will he? The US government has previously made clear that sanctions on Rusal could be lifted depending on how much Deripaska is willing to distance himself from the company. The Russian oligarch, who has close ties to President Vladimir Putin, agreed last month to reduce his stake in EN+ Group -- the holding company that controls Rusal -- to below 50%. He also resigned from the board of EN+. EN+ and Rusal are part of a tangled web of corporate entities under Deripaska's control. EN+, which went public last year in London, has a 48.1% stake in Rusal. All seven of the Rusal directors that quit had been nominated for their seats on the board by EN+. Rusal said their departures were part of efforts "to protect the interests of the Company and its shareholders." Rusal's stock was up almost 7% following the announcement but it's still more than 55% below where it was trading before the sanctions hit. Bouriko has been replaced as CEO for the time being by Evgeny Nikitin, the head of Rusal's aluminum business, the company said in a statement.